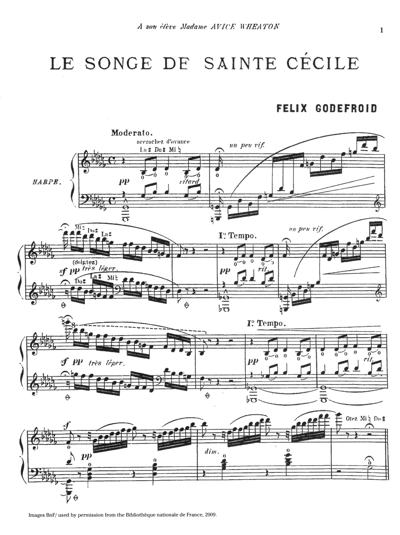 The Dream of St Cecilia represents Godefroid’s tribute, among many written by French 19th century composers, Gounod and Ambroise Thomas, for example, to the legendary patron of sacred music. The dream of the title refers to the famous painting by Raphael that shows Cecilia gazing heavenwards while holding a portative organ. Associated with the musical art since Roman times, her role was to “turn mourning into joy”, to restore and to heal. 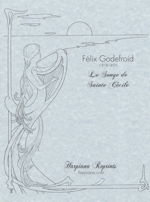 Godefroid perfectly translates this sweet vision into a tender contemplation for the heart. A facsimile edition.